Attorney Ryan Sayers of Clearfield announced today his candidacy for the Republican nomination for District Attorney of Clearfield County. 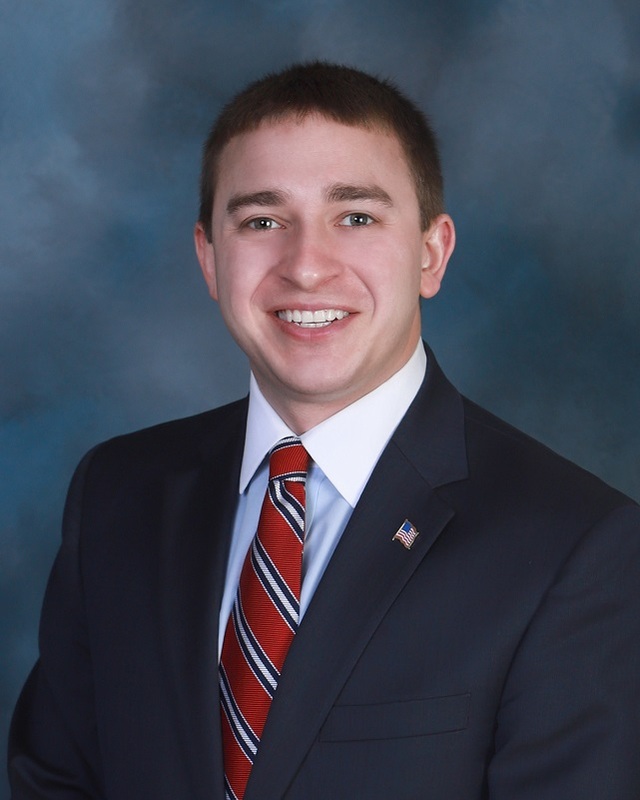 Sayers is a graduate of Clearfield Area High School and earned his Bachelor of Arts degree from Washington & Jefferson College, majoring in history and political science. He also earned a juris doctorate from Duquesne University School of Law. Sayers currently has his own law practice in Clearfield, and previously was with the firm of Naddeo & Lewis LLC. Prior to law school, Sayers interned at the U.S. Embassy to the Holy See in Rome, Italy, and during law school, interned with the Honorable Judge Schwab in the U.S. District Court for the Western District of Pennsylvania. In addition to his private criminal defense work, Sayers serves as both adult and juvenile criminal defense conflict counsel, appointed by the Court, which he has done since being licensed to practice law in Pennsylvania. “During my time as a criminal defense attorney, I have noticed some inefficiencies with the Office of District Attorney and I would strive to rectify those issues,” Sayers says. “Also, I would work with the other criminal attorneys, law enforcement and the court to address some concerns with the overall criminal justice system in Clearfield County. As a way to give back to the community, Sayers serves many charitable organizations throughout Clearfield County to include president of the Clearfield County Bar Association, president of the Good Samaritan Center, former president of the Clearfield YMCA, solicitor for the Bucktail Council (Boy Scouts of America), solicitor for the Greater Clearfield Chamber of Commerce, solicitor for the Clearfield Education Foundation, solicitor for St. Francis Parish and a board member of Clearfield Arts Studio Theatre Inc.
Sayers also believes that helping and mentoring youth is important to our county. He is a Boy Scout merit badge counselor, former lodge advisor for the Order of the Arrow (Ah’Tic Lodge) and advisor for the Chamber’s Exploring Program in the Clearfield and Curwensville school districts. Sayers is an Eagle Scout (2003), as well as, recipient of the Duquesne University Mind, Heart and Spirit Award (2013), the Clearfield Chamber Director’s Choice Award (2017) and Boy Scout’s Silver Beaver Award (2018). Sayers is the son of Paul and Therese Sayers of Frenchville. He is a parishioner and choir member of St. Francis Church, member of the Clearfield Choral Society and an avid outdoorsman who enjoys hiking, camping, kayaking and hunting.